In 2006, legislation introduced to the West Virginia House of Delegates by Representatives Robert Schadler, Allen V. Evans, and Ruth Rowan, all of Mineral County, named a bridge on West Virginia Route 46 in Keyser in honor of Kelley. Construction on the “Staff Sergeant Jonah Edward Kelley Bridge” over New Creek began in November 2006. 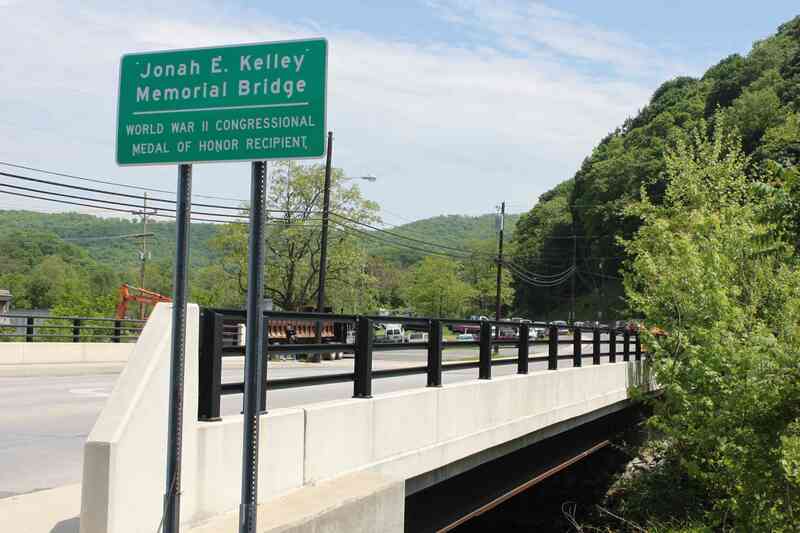 Requesting the Division of Highways name the bridge on Route 46 and Armstrong Street crossing New Creek in Keyser, Mineral County, the “Jonah E. Kelley, World War II Congressional Medal of Honor Recipient, Memorial Bridge”. Further Resolved, That the Clerk of the Senate is hereby directed to forward a copy of this resolution to the Secretary of the Department of Transportation.